Described as ‘straightforward to deal with’, Sarah Booth doesn’t have much back up at Hammerson. In fact, she is the entire resource – the only lawyer in a company of roughly 300 people. She is proof of the importance of having good relationships with general counsel because these days she doesn’t have the time to handle all the work in-house, something she always used to do before. Roger James has enjoyed a meteoric rise at MTV (now part of Viacom) that has seen him move from a junior position in the UK legal team to overseeing business and managing legal affairs teams based in London, New York and Miami. One law banking partner says that Leonie Fleming ‘falls into the “very influential” bracket due to her position, but also the “up and coming bracket”, because I feel she has further to go at RBS’. There’s no doubt that she has won praise for her adroit handling of complex regulatory issues during a difficult few years for the bank. Maria Leistner joined Credit Suisse in 2004, when it reorganised its operations into a ‘one bank’ model to ensure collaboration between its private banking, investment banking and asset management divisions. 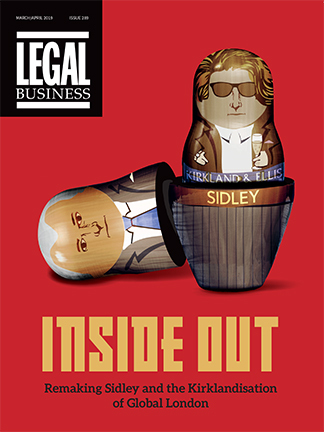 Described as ‘a safe pair of hands in a turbulent market’, Karen Linney is fair but expects value from external counsel. Sajid Hussein’s experience at Bank of America Merrill Lynch has certainly prepared him for exciting challenges. When he joined Bank of America in 2005, he couldn’t have known that within three years he would be working on one of the biggest deals of his life. Stuart Levey joined HSBC in London in January 2012. His hire was a key part of HSBC’s efforts to restructure, reform, and bring on board new leadership to implement HSBC’s new global business strategy and respond most effectively to high-profile investigations in the US. Few general counsel attract the levels of respect from fellow in-house lawyers that Mark Harding, group general counsel at Barclays, commands. He was the first chairman of the GC100, which elevated his profile among his in-house counterparts, and he remains active in the organisation. He firmly believes that the in-house community has a duty to work together to reform the relationship between the client and private practice firms.